The Accordian Water Carrier has a 15 litre capacity. It is constructed from durable plastic and has a tap plus a comfortable carry handle. It features a secure screw cap lid for easy filling and quick emptying. Also its easy to clean and store. 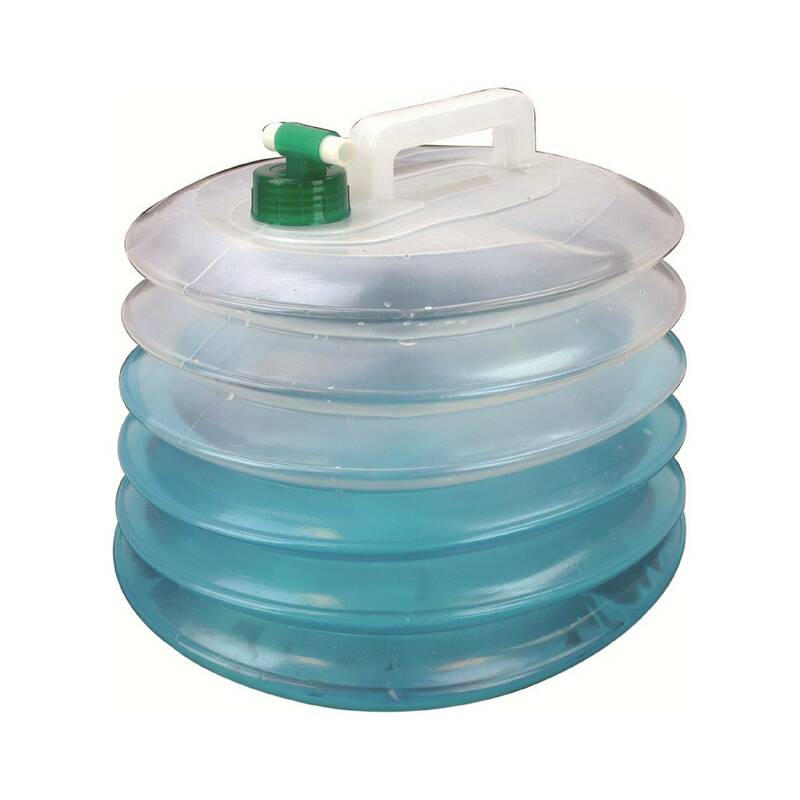 This water carrier is perfect for camping, fishing or general travel. The external dimensions are: 12.2"x9.1"x14.2" (31x23x36cm).